Taylor Door Co. has more than 30 years of experience with garage door repair in Farmington and Farmington Hills, Michigan. The friendly experts at Taylor Door Co. come to you and identify the problem quickly, so the job gets done right the first time. We can fix it all – springs, hinges, cables, rollers and gears! For all of your garage door repair and door opener repair needs in Farmington and Farmington Hills, call Taylor Door Co. at (586) 755-6500! We promise you will never get any surprise bills or hidden fees for your garage door repair in Farmington and Farmington Hills. Fix Your Broken Garage Doors and Openers in Farmington Today! 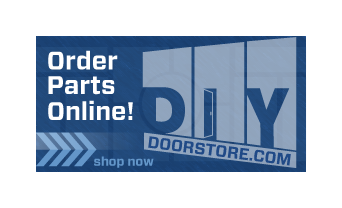 Taylor Door Co. is your best choice for garage door repair in Farmington and Farmington Hills. A broken garage door or broken garage door opener is so inconvenient and frustrating, and we understand, which is why we provide only the best service, for the best price. 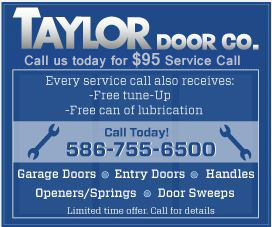 You can always count on Taylor Door Co. for door opener repair in Farmington and Farmington Hills. We are affordable and efficient, and we promise you will never pay more than $300 for garage door or door opener repair with Taylor Door Co. Fix your broken garage doors and openers in Farmington today! Call us before 11 a.m. for same-day service at (586) 755-6500! As members of the International Door Association, Taylor Door Co. is also licensed and insured to come to you and work on your garage door repair, without liability worries. So you know you’re getting reliable and trustworthy service when you trust us with your garage door repair and Farmington and Farmington Hills. We only charge $85 an hour for labor, guaranteeing we offer the best service for the best price! Don’t trust other garage door companies that advertise free service calls, they often come with hidden fees and high labor costs! When you’re looking for trustworthy, affordable garage doors and door opener repair in Farmington and Farmington Hills Taylor Door Co. is the only name you need to know! Call us now at (586) 755-6500 for a free estimate! Get the Best in Garage Door Repairs in Farmington Hills, Michigan Today!